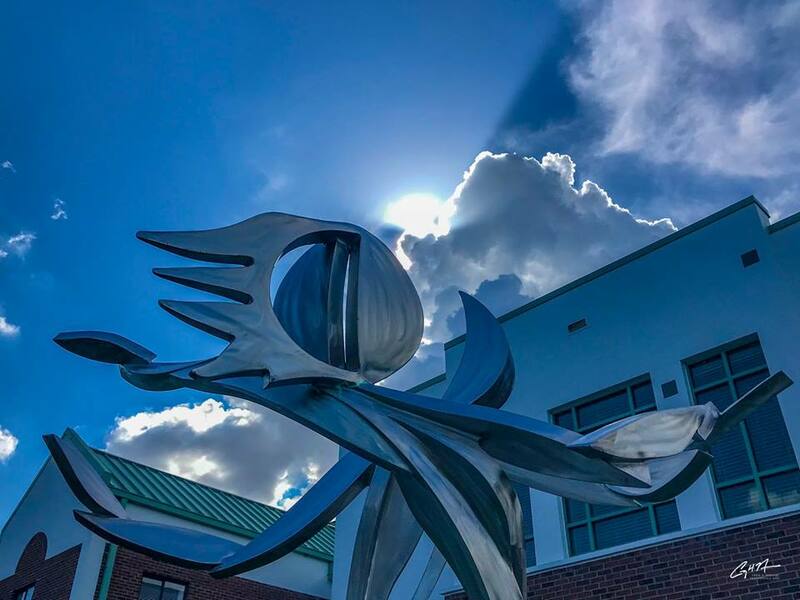 The Hillsborough County Public Art Committee and the Carrollwood Cultural will officially dedicate the public sculpture titled “Night for Day” by Chicago-based artist Michael Young on February 16 at 4 p.m. 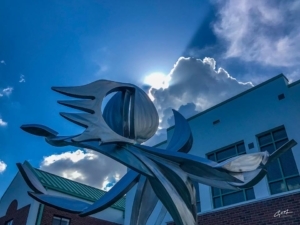 The art piece, which stands to the left of the Center adjacent to Lowell Road in Tampa, is of two characters, Sun and Moon, dancing. The Hillsborough County Public Art Committee commissioned the piece for the arts-based non-profit. Special guests will include Young, Hillsborough County Architect Amanda Grant, Carrollwood Cultural Center Board of Directors President Bill DeMare, Carrollwood Cultural Center Executive Director Paul Berg, members of the Hillsborough County Public Art Committee and more. But you were so hard to reach. but I had never noticed till I saw how you glowed. I never noticed till I saw the way your smile lit up the world. The way life seemed to awaken when you neared. You were so….. Close to me. The next time I saw you was just a bit after the first. I showed you who I was. And that is when I knew I loved you. But still…You had to leave. That is how our love is still like right now. A series of moments together. but in the end, one of us always leaving. In each encounter, our fingers locked together. Our eyes only on each other. We always make good of the short time we have. And that is what makes our love so special, isn’t it? Because we know it will last till that day you have to truly leave forever. It will last till the day I have to stay. Because I have you right now. Even though we both always have to go eventually. Even though our time together is so short. But we have sunrise together. We have the first star of the night. And we have the last.